Bottom Line: A funky, earthy, and very savory IPA for the table. English style IPAs are deep gold to amber in color and fall between 5-7% in alcohol. 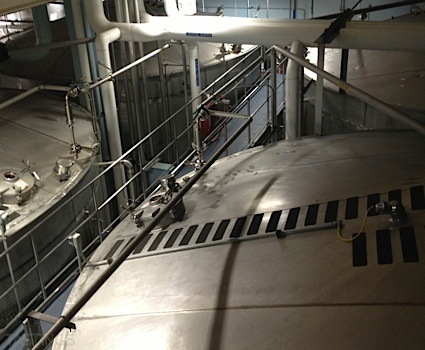 They are characterized by classic English hop aromas and a drying bitterness on the finish. This style originated in the 19th century when British troops and colonizers were working to develop an alternative to their standard ales in order to withstand transport to India. This style, probably not anywhere near as bitter as it was when destined for India, continues to be brewed in a toned down manner in the UK and is undergoing a mini-revival at present. This style can be brewed anywhere, as long as English malt and hops are featured. Noteworthy examples of this style include: Meantime India Pale Ale, Sam Smith’s India Pale Ale, Goose Island India Pale Ale and Brooklyn Brewery East India Pale Ale. 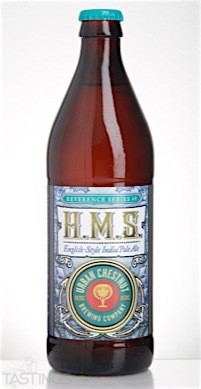 Urban Chestnut Brewing Company H.M.S. English IPA rating was calculated by tastings.com to be 83 points out of 100 on 3/23/2016. Please note that MSRP may have changed since the date of our review.